Главная › Інтерв'ю › Interview with the Orthodox priest of the Alexandrian Patriarchate Philippe Guthrie about the history and current state of Orthodoxy in Kenya. Short bio data, Born 4/4/1959 Started primary school in 1965. Joined secondary school 1973 and completed in 1977. 1979 joined Sibiu Theological University.Completed in 1983.flew back to Kenya.1985 joined Makarios 111 patriarchal seminary as a tutor upto 1993 Married in 1987. Having three kids,boy 1988,boy1993 and a girl in 2005.1993 transfered to our first high school in Nyeri my home area upto 1996. ordained deacon 12/6/1999 and priest 20/6/1999.Posted to St.Philip Orthodox Church in Karundu in the same year. Started a church there.Transfered to St.Anthony in 2006.In 2007 I started St.Anthony Orthodox high school.where Orthodox diocese center stands today. Visited Russia in 2011&2016 linking our diocese with Russia. Have been serving as principal of the school upto date. Kenya is famed for world famous athletes. Also produces best coffee and tea.our tourism is excellent with classic wildlife. Internet is excellent covering most parts of the country. Though being a developing country we have world class hotels. Religion in our country is multi sectoral.The Roman Catholic has the biggest following,followed by combined Protestants and the Orthodox. Our church joined the patriarchate of Alexandria in 1946. 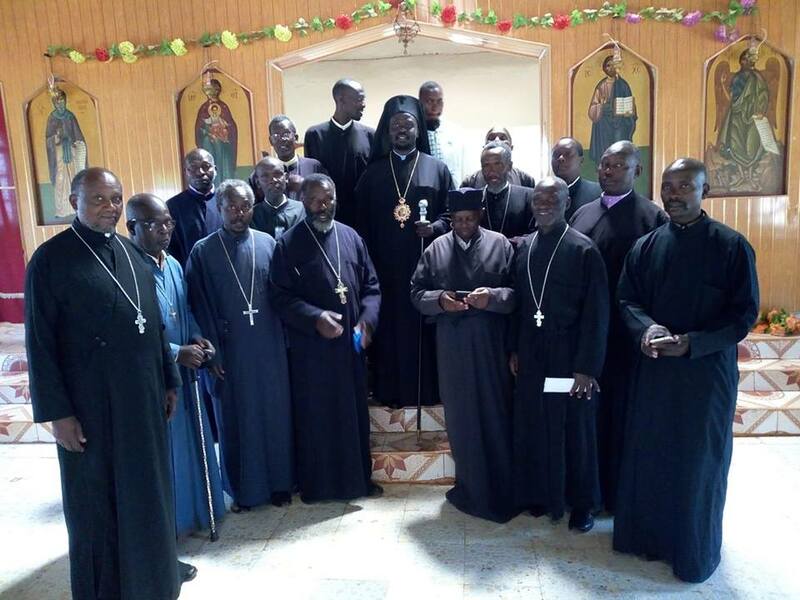 We belong to the patriarchate of Alexandria.In Africa we don’t have autocephalous churches.The Patriarch is the spiritual head, Archbishops, metropolitans and bishops,priests and deacons.For sure,I don’t know the exact number of Archbishops, bishops and priests in Africa.In Kenya we have three dioceses,that of Nairobi, Nyeri and Mt.kenya and Kisumu and Western Kenya.We have one Archbishop and two bishops.Kisumu and Western Kenya is vacate.It’s bishop passed on last January.All combined,the priests range from 450-500. 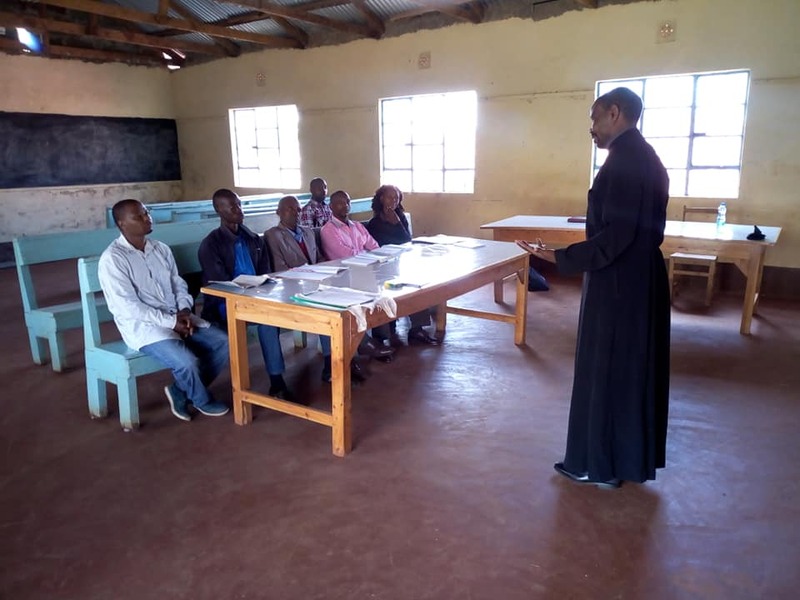 Priests are trained at Makarios 111 patriarchal seminary in Nairobi after which some go to abroad for further studies. They go to Greece, Cyprus, U.S.and Romania.i studied in Romania. Orthodox Center is located at ichamara a small town where our Secondary School is located.The school donated land to build the Center and the convent. Here we don’t have big temples like in Ukraine.The Orthodox Church is concentrated in central Kenya, Western Kenya,Rift valley and Eastern Kenya.Our church is growing and make inroads in new places. I serve to small churches of St.Anthony in the Aberdares ranges and St.George along the equator line.i don’t have good church buildings. The languages of worship are, Indigenous languages, Kiswahili (spoken in East Africa) and English. In Kenya we don’t have monasteries.i had a convent in Nyeri in the 1990s which was later closed and Kenyan nuns re-located to Greece. From where I am writing, construction is under way for a convent. They are semi-permanent. About Ukraine.i Know that your church is developed. Kiev is the heart of your church.i know you have many monasteries and convents. I would very much like to visit Ukraine to make homage on your relics. My parting remarks,; Our diocese needs missionaries from Ukraine. Let our brothers and sisters get a taste Kenyan hospitality. God bless you.